WWE 2K19 update 1.03 for PS4 is now rolling out for players. 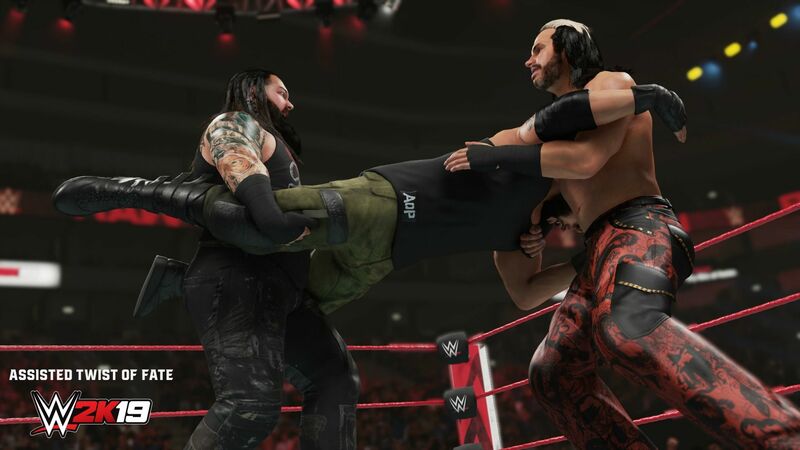 According to the official WWE 2K19 1.03 changelog, the new patch has added support for the WWE 2K19 New Moves Pack. In addition, the latest WWE 2K19 version 1.03 also contains minor fixes for server performance, game crashing, stuttering/lag, and more. Previously, a big update was released with fixes and gameplay improvements. Unfortunately, since the last patch, many players are experiencing a number of issues when trying to play. Today’s WWE 2K19 patch 1.03 for PS4 is expected to fix a few of these issues. Check out more details below. Added support for the new WWE 2K19 Moves Pack. The new pack will cost $3.99. If you have the Wooooo! Edition, Deluxe Edition, or Season Pass, you’ll be able to get it on day one at no additional cost. Check out the moves below and watch our social channels for information on official release date coming shortly. Added fixes for crashing issues with WWE 2K19 patch 1.03. WWE 2K19 1.03 for PS4 added performance and stability improvements. Gameplay improvements added with WWE 2K19 1.03. Added other minor fixes and changes with WWE 2K19 version 1.03. WWE 2K19 update 1.03 for PS4 is now available for download.